I’m sure of our love, I’m not so sure–a word that joins the sound of love, a word that doesn’t. It’s an absolutely beautiful song and Dylan sings it beautifully. There’s a symmetry to having rhyming couplets when speaking of pure love, which each verse does, couples in tune, yes? “love”/”love” not a rhyme, and nothing coupling with “pure.” And as Christopher Ricks points out “You don’t want a love” does not quite go with “You wanna drown love,” as would the expected “You wanna drowned love.” Adjective turned verb with a flick of the wrist. Furthermore, “love” repeated as much as it is surely waters it down, doesn’t it? 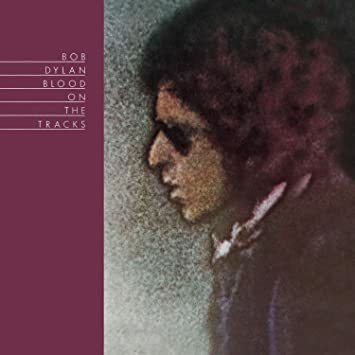 Dylan seems to get the point across with the word beginning each verse and then repeating it twice in the bridge two times for a total of twelve times. But “pure” gets attention, too as a repeated word, appearing there once in each verse and bridge, but not so watered-down. And pure love, not watered-down love is what is defined in this song, what it does, why it matters more than what the other wants–the watered down kind. Here’s a live version from 1981. Just play it once. No need to water it down. “Tin Angel” is one of three ballads on Tempest. It tells a story, just like the title song of the album about the sinking of the Titanic. 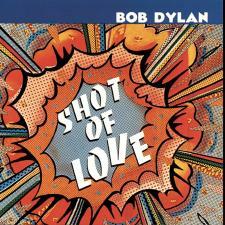 And “Roll On, John,” with its mosaic of John Lennon song lyrics is a tribute to Lennon, long overdue, in ballad form. “Tin Angel” could be the screenplay to a film. It is dominated by dialogue, though it rocks back and forth, like “The Tempest” does with couplet rhyming throughout. The film version of this song awaits us–it’s got Seneca-like revenge, journeying, deception, murder, etc. “Husband? What husband? What the hell do you mean?